Star point guard sublets a condo in the Trump Tower. Jeremy Lin #17 of the New York Knicks looks on against the Sacramento Kings at Madison Square Garden on February 15, 2012 in New York City. The Golden State Warriors connection to "Linsanity" is not over yet. 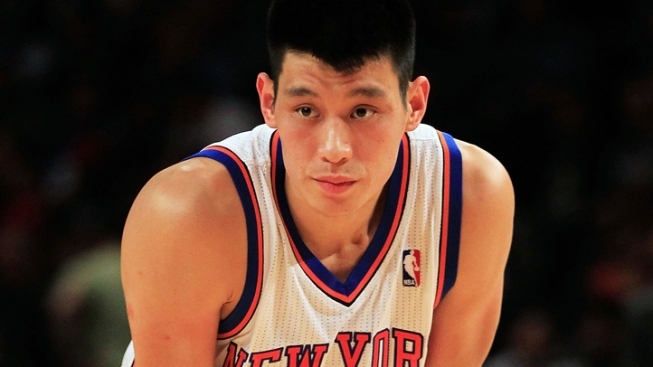 A day after Warriors' General Manager Larry Riley said he never projected New York Knicks phenom Jeremy Lin to be as productive as he has, came news that a former Golden State teammate has helped him find a new home In New York City. Lin had been sleeping on the couch of his brother. But the star point guard is moving on up, along with his status among the NBA's elite. Warriors' forward David Lee is reportedly subletting his apartment in the Trump Tower to Lin. The two-bedroom apartment in White Plains, N.Y. will reportedly cost him about $3,800 a month and it will make him the neighbor of several of his Knicks' teammates, including Toney Douglas, Mike Bibby and Josh Harellson.